This chapter provides an analysis of profitability for a large sample of European banks since the onset of the recent severe international financial crisis. The asymmetries that continue to characterize the various European countries and the differences between the banks operating in them are highlighted. 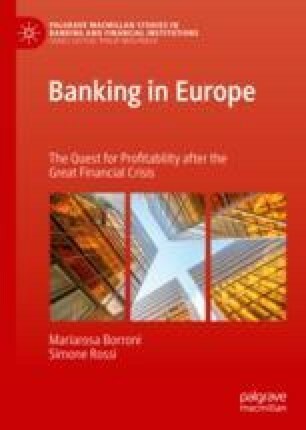 In particular, the analysis focuses on the determinants of bank profitability in Europe and aims to identify the drivers that support the production of positive and stable returns. The aim of the chapter is to identify some behaviors that can be considered as more virtuous, thus determining possible best practices that could serve as an example and guide for the banking sector.